c1100 uses 3 tubes per channel for a total of 6 tubes for the phono stage. 1 for mm, 1 for mc and another these two feed into. c1100 is unbalanced for the phono section. There is an unbalanced to balanced converter after the unbalanced input selector which the phono inputs are connected to. mp1100 uses 2 tubes per channel for a total of 4 tubes. It is not very detailed on the block diagram but mcintosh clams fully balanced from input to output. I am not sure how equalization and filters are done in balanced. they are surely different designs. c1100 appears to be a more minimalistic design with more tube influence whereas the mp1100 has more solid state components and also fully balanced. It seems the amplification for low output mc cartridges are done in solid state at least. 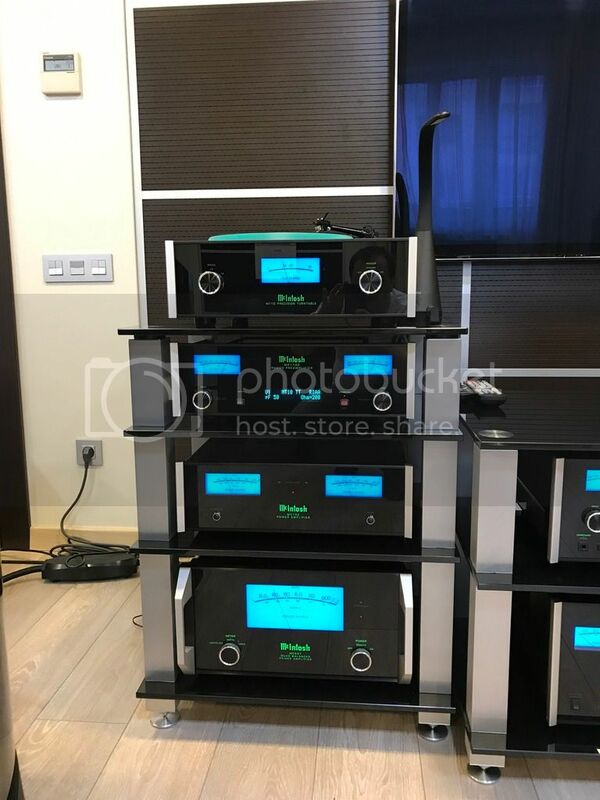 Mcintosh doesn't offer any turntables with balanced interconnects, nor does the mp1100 has balanced input connectors for the phono inputs. Phono cartridges are neither balanced, nor single ended. they are actually floating and can be differential. I wouldn't be surprised if c1100 beats mp1100 in sound. 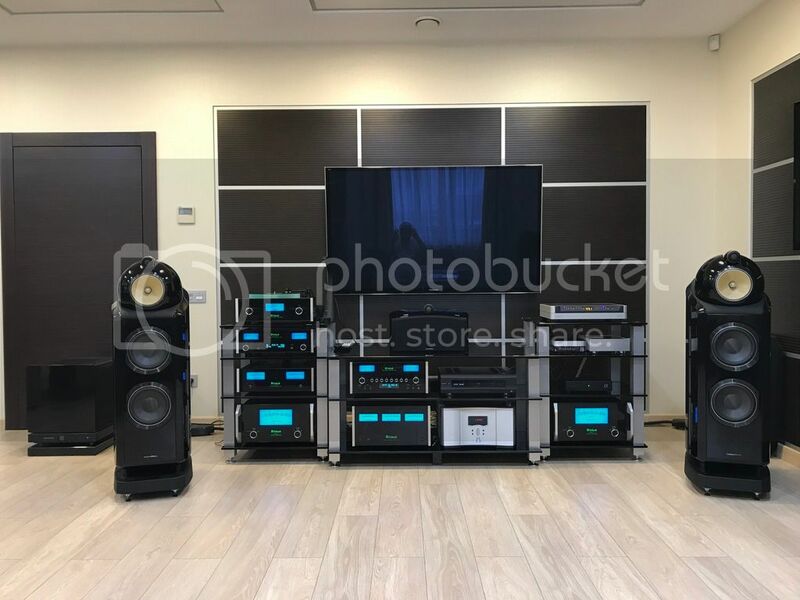 I own MP1100 for one and a half month and I should tell that it is significant difference from build in phono of my C52. Especially when you listen to properly recorded old time (70-80) vinyl (japan made are the best). Very cool. You mention the build is different from the C52. How are you liking it so far? I'm thinking about mating one with my 60th Anniversary C22 preamp but don't know if that would be a worthwhile endeavor. McIntosh MP-1100 Phono Preamplifier; 60th Anniversary C-22 and MC-75s. Wonderful system. You are clearly getting the best out of your MP1100. Thanks for sharing your opinion. I wholeheartedly agree with your opinion of classic rock pressings. I find it interesting they are only 140 gram weight at best. Clearly 180 and 200 gram records do not offer any specific sonic advantage over their thinner twins. Last edited by j3brow; 05-01-2017 at 12:06 AM. I found this on the web. It's good for a look but I don't see a companion video that follows up on the "How does the McIntosh MP1100 sound? Let's load a record and see." If one searches youtube for McIntosh MP1100 there are a couple other videos ... and I'm just getting to those and they are not really promising in terms of having any meaningful content to them. Last edited by MisterBritt; 05-19-2017 at 06:46 PM. Our systems are quite similar. I'm now using a pair of contemporary MC75's with Canterbury SE's as well. I alternate between Kleos, EMT and Koetsu Rosewood Signature Platinum cartridges. The Koetsu is.3mv and might benefit from the additional gain of a step up. Your cartridge is lower output still. I don't think the 4 db increase of the MP1100 would be enough to drive your SPU optimally and Auditorium23 makes excellent step ups. I use one with a Garard and EMT JSD6 in my vintage system. I agree that while the Mc phono stages may well be of similar design, there are too many differences between them: specs, tube versus solid state and dual mono versus stereo to credibly state that they are the same. The MP1100 appears to be the most refined of all. Since you have dual mono amps, a move to a dual mono pre-amp like the C1100 might be a compelling path for you to entertain. I think you'd see more significant gains across the board. Look forward to hearing what you decide to do. I decided to go for it. I carefully queried my dealer about whether the 64 db gain would be sufficient for my particular moving coil cartridge. He said, yes. I also casted about on the internets and discovered a guide that confirmed this, indicating that my .2mv output matches ideally to exactly 64 db gain. That did it for me. I will say, however, that the transition from the A23 Hommage SUT to the MP1100 has resulted in a change at the volume knob. Off the top of my hat, I'd say that what's now 1 o'clock on the dial was the old 11 o'clock on the dial. I used to have a gas pedal that was about four inches off the floor and now it is about five (actually, the math would suggest 4.72) inches off the floor. Something like that. But who is to say where the truer baseline should be. Bottom line, it's up and running great - no problems. I plan to come back with a full review. Sneak preview, I am way, way delighted with it. It's blowing my mind how great it is! By the way, I have my pF (capacitance) setting at 150 and the ohms at 200. If anybody has anything to say about that, chime in. From what I'm reading on the web, the capacitance is more related to the cables and their length (1 meter for me) than the cartridge, per se. As for ohms, my spec sheet shows .2mv output with suggested ohm setting at >100. I could set it right at 100 ohms but my dealer suggested 200 ohms. Last edited by MisterBritt; 06-14-2017 at 05:38 PM.